John Erskine was an American pianist, author, composer and educator. From the years 1903 up until 1909 he played the role of an English professor at Amherst College. Following his years as a professor in Amherst College, he went on to become a professor at the prestigious Columbia University from the years 1909 up until 1937. John’s quotes and adages had a profound influence on educators. His sayings and adages were humorous, encouraging and extremely intelligent. John has published well over 100 books, essays, novels and criticisms. 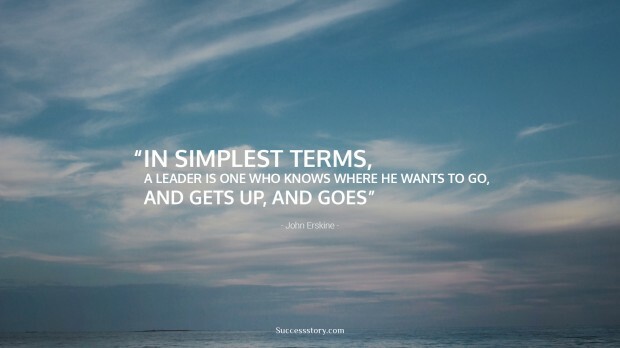 "In simplest terms, a leader is one who knows where he wants to go, and gets up, and goes."